A sash for the bride. It's her bride squad. It's her wedding. It's her bridal shower. It's her bachelorette party. 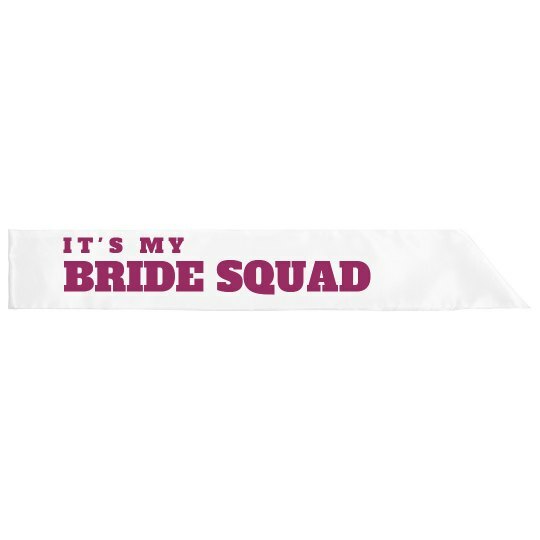 MAke sure it goes her way with this awesome bride squad sash. It is perfect for the night of the bachelorette party.